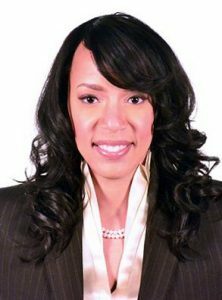 PERRI DUGARD OWENS | President & CEO – is an experienced marketing, communications and public relations professional and has developed strategies and programs for clients across multiple industries, of varying sizes and needs. She brings proven leadership in launching major brands, creating measurable results and building awareness to achieve goals through various communication channels. Through experience in public relations, marketing and advertising, Perri utilizes her skills in impactful and meaningful ways for clients at dGC. duGard Communications’ growth has been cultivated by Perri since its inception, with the intent to become a respected organization and leader within the public relations industry. Formerly known as dGE Public Relations, Perri led the organization through a strategic process that assisted in tremendous growth expanding the organization into multiple states and industries. This growth led to an opportunity requiring her leadership into a new and more strategic phase, becoming duGard Communications in 2015. Perri earned her Bachelor’s degree in Business Administration from North Carolina Central University. She has served several non-profit organizations through board of director positions and leadership roles. She enjoys serving the community through organizations like Nashville Public Radio (community advisory board), the YWCA Women of Achievement Awards (nominations committee chair), ATHENA Awards (public relations committee chair), Choral Arts Link, Inc. (chairman), the Nashville Business Incubation Center (marketing committee chair), Matthew Walker Health Clinic (nominating committee chair) and several others. Perri is a recipient of The Tennessean’s Top 40 Under 40 award, an ATHENA Award Nominee and 100 Black Women Davis-Galloway Empowerment Award Nominee, along with INROADS/Nashville Alumnus of the Year. Learn more about Perri by reading her blog Chronicles of a Late Bloomer.